The following code generates a 1 by 1000 matrix of 1000 random numbers between 0 and 1. The following code generates a uniform whole random number between 1 (a) and 100 (b). a and b can be adjusted as desired. 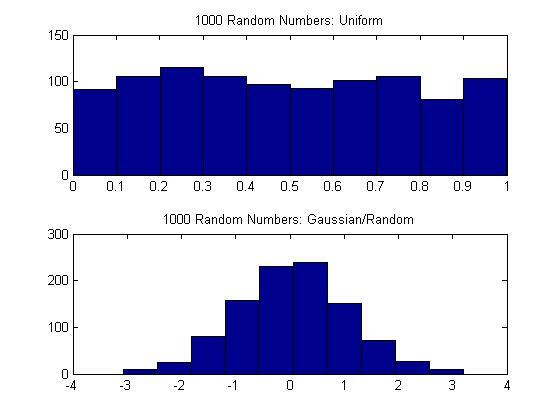 For a normal Gaussian random number, the randn function can be used in place of rand above. Here is the Matlab code for the plot above.